A custom boutique build of the Bastle Kastle synth with banana jacks and a nice wooden case…. 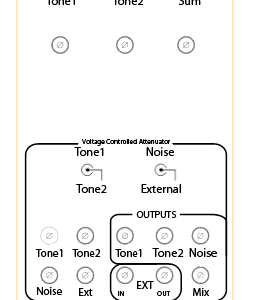 This buffered sync busboard is designed for connecting several Cadet / DIY modules that use the 14 pin sync bus.You need a Cadet Sync generator or Visual Cortex as sync source…. FAQLab is een terugkerend evenement georganiseerd door Modlab, Willem Twee studios en FAQ Festival gericht op ontwikkelingen en experimenten in de elektronische muziek…. Here are two LZX Castle patch examples, as described by mr. Phil Baljeu himself on the LZX Community Forum…. A new build of the CreepCluster. Mahogany case with ceramic knobs….